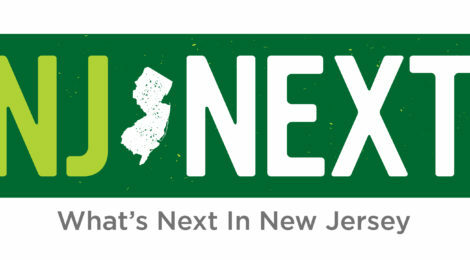 NJNext.com, a new New Jersey-based and focused digital publication, is working to connect NJ arts and cultural institutions, businesses, events — and downtown districts — to state-wide and regional audiences. The NJNext.com website presents articles highlighting businesses, festivals, events, personalities, and trends in New Jersey, as well as a fully loaded, searchable-by-category calendar of events for New Jersey residents or those visiting the Garden State. The site is designed to function optimally on desktop, tablet and mobile. NJNext.com has been operating since last November but only officially launched in mid-February with a series of sponsorship announcements on WNYC and the hiring of film reviewer Stephen Whitty. Already NJNext.com has started focusing on downtown venues. Beth Macdonald of the Downtown Somerville Alliance (and a DNJ Board member) pointed NJNext.com co-founder Mary Mann to a number of exciting new businesses in downtown Somerville that also have locations in other NJ towns or plans to expand — Grumpy Bobas, Yestercades, The Salad House and Village Brewing Co. to name a few. Mann, who runs and owns NJNext.com along with Carolyn Parisi, has a background in downtown management, having served on the DNJ board and worked as an employee or consultant for BIDs and SIDs such as the Center City District in Philadelphia, Red Bank RiverCenter, Bloomfield Center Alliance, Newark Downtown District, DUMBO Improvement District, the Long Island City Business Development Corporation and the Springfield Avenue Partnership in Maplewood. Together with Parisi, another Patch alumni, Mann has continued to report on the commercial centers in the towns of South Orange and Maplewood through their highly successful hyperlocal news site VillageGreenNJ.com, launched in June 2014. 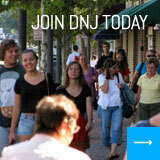 Besides featuring businesses such as restaurants and retailers in articles, Mann and Parisi see downtowns as a great source of material for the NJNext.com calendar — which is already drawing more than half the traffic for the site as locals search for events and festivals such as egg hunts, parades and festivals. “We had tremendous traffic for St. Patrick’s Day parade searches,” said Parisi. Why NJNext.com and why now? “As Village Green became more and more successful, we were approached by restaurants, arts groups, musicians and event organizers from around the state — and the region — asking for coverage,” said Parisi. “We also noticed that those arts groups, events, businesses and downtown districts needed an affordable way to reach their targeted audience through advertising and calendar listings — and that traditional vehicles had either disappeared or weren’t performing for them,” said Mann. As Parisi and Mann looked around at what was available to New Jersey readers, they found that most event and calendar sites tended to narrowly focus on a specific category or demographic: the arts or live music, children’s events, etc. “Many of the sites that are out there cover just one thing or cater to one group of people, but New Jersey has so much more to offer,” said Mann. Also, said Parisi, “Most of them just weren’t visually appealing or fun to read.” NJNext.com was born. From the start, NJNext.com has showcased personalities, places, events and trends from all around New Jersey – with plans to expand to the larger NY/NJ/CT metropolitan region.. Already the site is attracting readers from all over the state — as well as from New York and Philadelphia. And site traffic is building. The site is on pace to easily surpass 30,000 pageviews in March, with expectations to at least double that number in April through marketing, social media, email lists, trade deals and more. Throughout April, NJNext.com will be working with the Somerset Patriots on ticket giveaways and promotions for the upcoming minor league baseball season. NJNext.com will also be working with Summit Downtown Inc. to promote events and businesses. To submit events to NJNext.com, email editor@newjerseynext.com. For information on advertising opportunities, contact Caryn Emmons at caryn@newjerseynext.com.